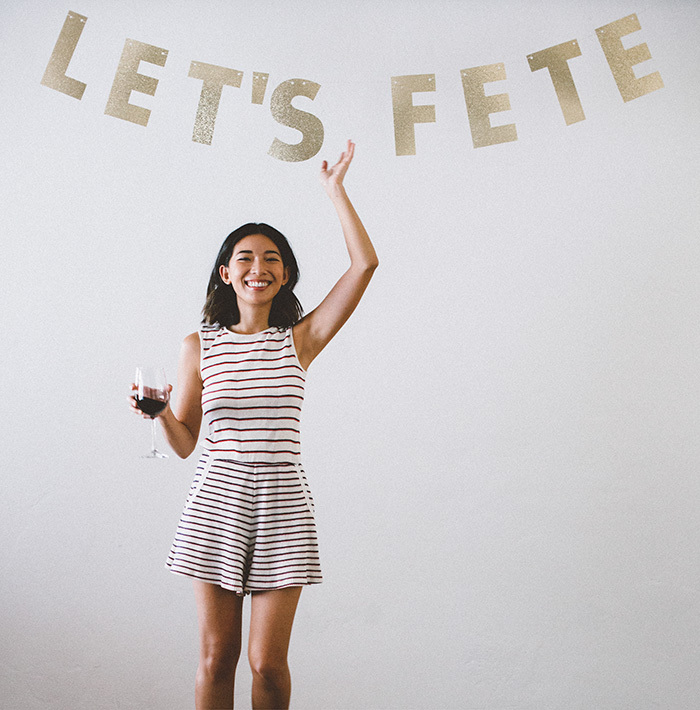 I love throwing events, bringing people together, and making deeper connections over a glass of wine, and yet I hate preparing for them. Every minute leading up to the start of the hour is just a micro crisis on some little detail, because Kyle and I are such perfectionists and we just want to treat our friends to the best. Naturally, the reward always pays off! Since Thanksgiving is just around the corner, this past weekend was a circulation of Friendsgiving parties and it just had to be the weekend I wasn't feeling well. While I had to nix all of my invites, Kyle and I had to suffice our FOMO somehow. 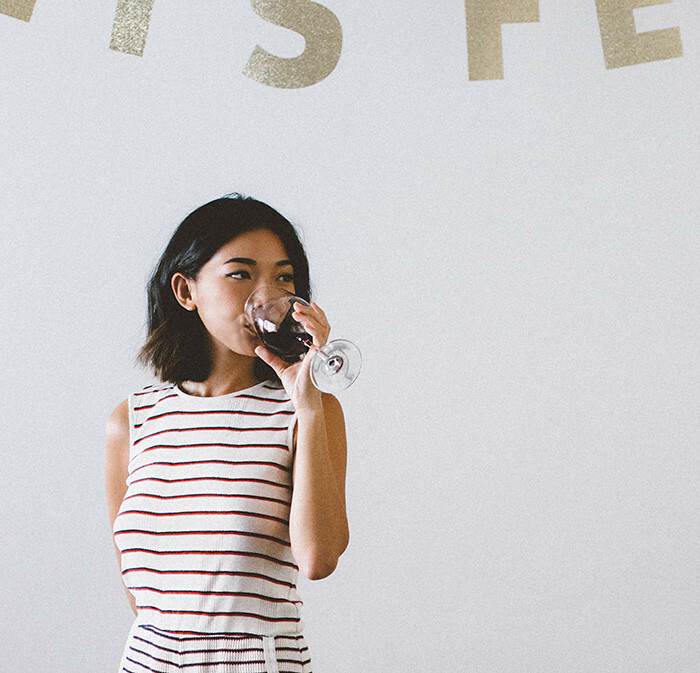 Normally I would never put together a party in less than a day, but recently I received the Clos Du Bois Fête In A Box by Jung Lee, which basically contains all of the essentials and tips to host a posh party. So, we decided last minute to throw together our own Friendsgiving, a first in our apartment. And this is how we did it in two hours. Saturday morning started beautifully early with a visit to the salon; a fresh haircut was conveniently a great beginning to a busy day! I got my pampering out of the way and then it was showtime. Kyle and I stopped by Target to pick up about 30 feet of gold tinsel and a couple of spools of red and gold ribbon to dress up our place for the holidays. Tinsel and ribbon are super easy and cheap decor items. I placed the tinsel around central furniture pieces in the main room, like the back of the sofa and throughout the media center. You can even mix the tinsel with a couple of feet of ribbon for diverse textures. With the ribbon, I selected a couple of lamps and vases to wrap a nice fluffy bow around and made a few standalone bows to tape them to the corner of the TV and to other furniture corners as an accent. Once the room had been spruced up with red and gold accents and a few pleasant-smelling candles, we focused on the actual treats. You can never go wrong with a selection of at least 3 types of cheese - soft and mild (i.e. brie), soft or medium with flavor (i.e. goat cheese with truffle or honey), and dry and nutty (grana padano, like parmesan). 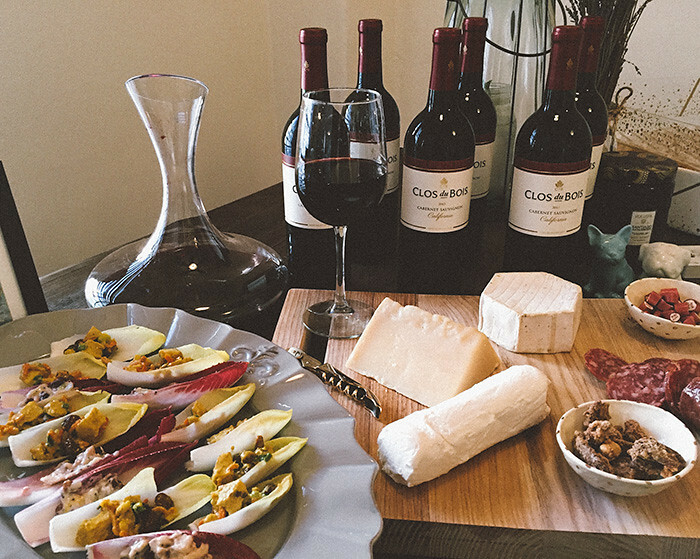 Pair the cheeses with a cured sausage and multi-grain pita crackers for a complete cheese board. 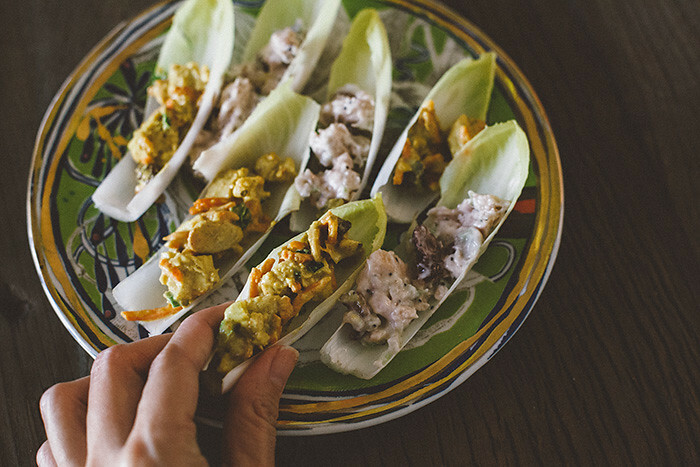 For a fresh snack, I served belgian endive spears filled with curry chicken salad and white chicken salad with cranberries (something more seasonal). One of Jung Lee's tips was to not worry about preparing food from scratch, when store-bought food can be just as delicious and beautiful well-presented on trays or platters. It's safe to say Trader Joe's has amazing ready-prepped food, so thanks to them, all of our platters were fixed in less than 5 minutes. TJ's sells little boxes of delicious chicken salads and also the bag of belgian endives, so we just cut and rinsed the endives and scooped the chicken salad into each spear. So easy and yummy! 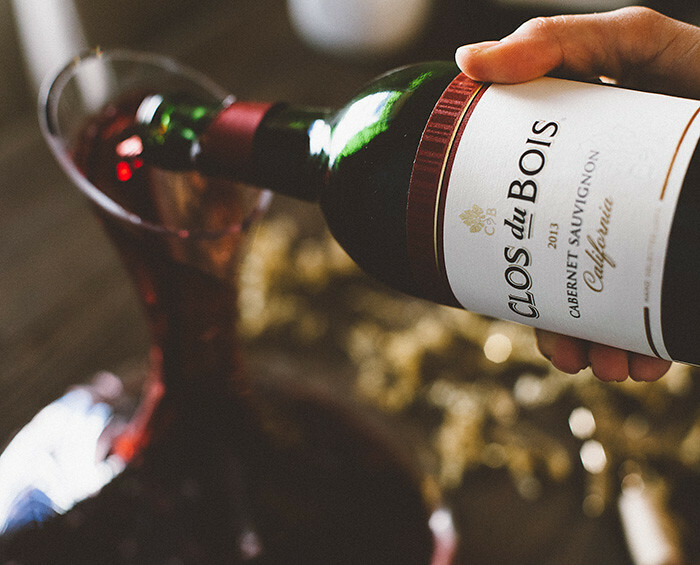 About an hour before the party, we also popped open a bottle of Clos Du Bois California Cabernet Sauvignon and transferred the entire thing into our decanter to breathe well before the first pour. 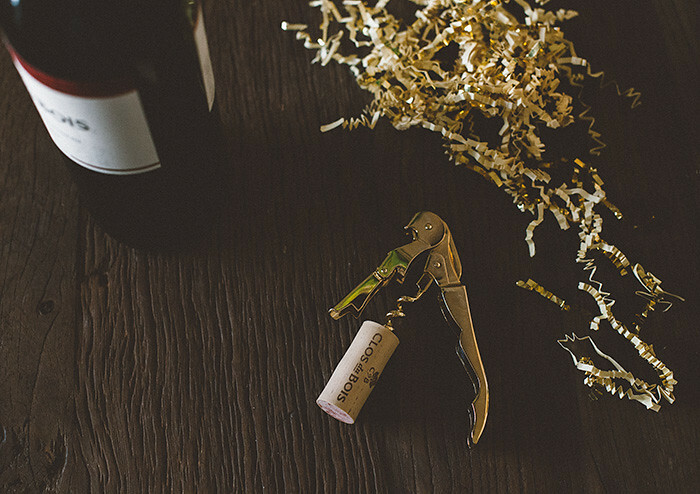 The Fête In A Box came with cute guest wine badges and we put them on each empty glass, so our friends can always keep track of their wine. 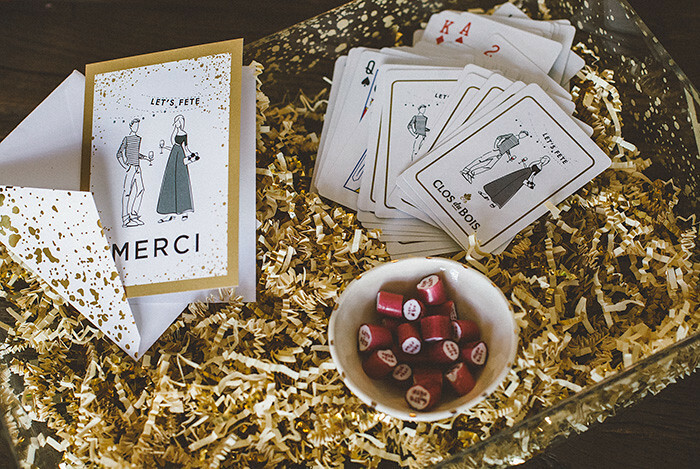 Other special items from the box included a luxe gold corkscrew, cocktail napkins and serving dishes for little peppermints and spiced pecans, custom playing cards and thank you notes, and an awesome "Let's Fête" party banner that we hung just above our photo studio. As soon as we were done, I was shocked to look at the clock and see we had at least half an hour before our first guest was to arrive - I've never finished preparing for a party early! And the whole two hours were effortless and calm, unlike the usual rampant beast I become. 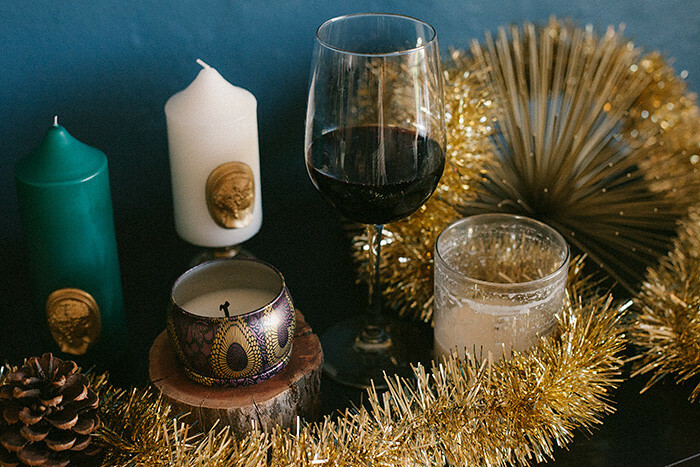 We poured ourselves a nice glass of Cabernet and toasted to a successful party prep. I give a ton of credit to Kyle for being such a handy helper, but I think the Clos Du Bois Fête In A Box By Jung Lee took a lot of steps out of the equation and made preparing for the party an easy feat. 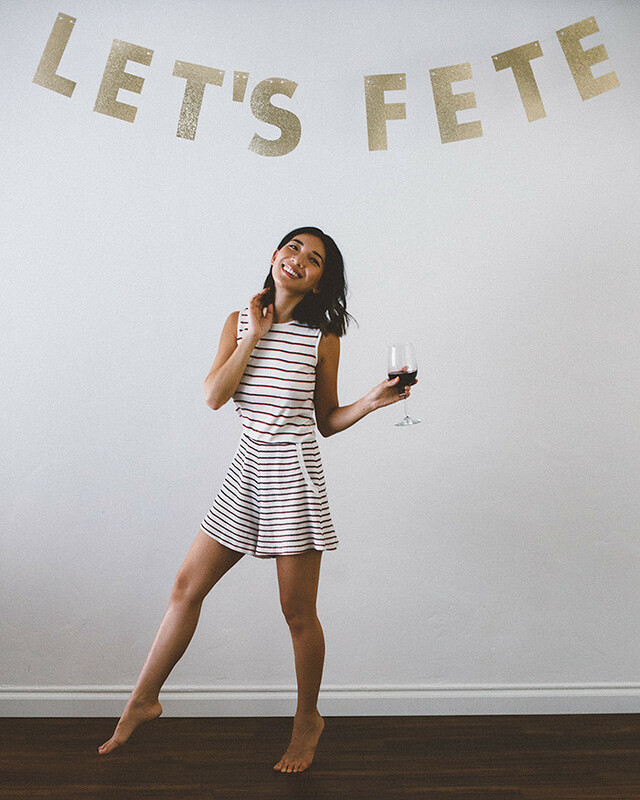 I'd love further tips on party hosting, easy snack recipes, or how you put together your own Friendsgiving! Looks like a wonderful time! I love the holidays, its my favorite time of year!